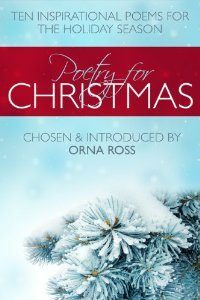 The festive season offers indie authors an ideal opportunity to boost print book sales at a local level by taking stalls at the inevitable Christmas fairs and markets that proliferate in most communities. Nearly all schools hold seasonal fairs at which traders unconnected with the establishment are welcome to take space to sell their wares, often at the kind of price that can be justified with the sales of very few books. Prices will vary enormously, from single figures for a table in a school hall to hundreds or even thousands for a pine cabin of your own around a city-center market square. Although not necessarily directly profitable, if you factor in your hours of labor as well as the price of the stall, think of it as an investment of your time in raising your profile in your local area. You never know what else it might lead to, such as invitations to come back to give a public lecture at the school or to talk to the pupils, or recommendations to other great fairs within easy reach. A lot of stallholders will be on the local circuit, taking stalls at similar events elsewhere, so able to give you the low-down on the best pitches to book and the worst to avoid, and on how to make the most of each fair’s particular strengths. Bear in mind that fair organizers vary in their ability to bring in punters to buy your books. After all, their income may stem more from selling the stall spaces rather than from selling goods to fair visitors, so their perspective on what makes a successful event may not chime with yours. While fairs that charge admission to shoppers might have a vested interest in pulling punters in, on the downside, they may attract fewer visitors than if entrance was free. Books are always popular Christmas gifts, easy to wrap and send, and when you’re handselling them at events, you can add value by offering to sign them with special messages for the intended recipient. Include free bookmarks to promote and cross-sell your other books. You might even offer free gift-wrapping. When you go the extra mile to bond with visitors, you might find them coming back for more. Another benefit of getting out to such events is the social side. 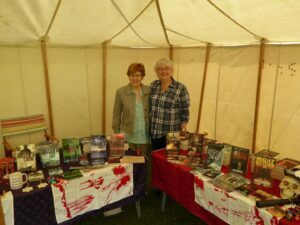 “They get us out of our writing cave to meet real people,” says Scottish thriller writer Chris Longmuir, who has got hooked on local fairs since fellow Scottish crime writer Wendy Jones persuaded her to accompany her to the Brechin Pageant, pictured above. There, Chris and Wendy had separate but adjoining tables, but you could also hedge your bets by sharing a table with an author friend to keep costs low. 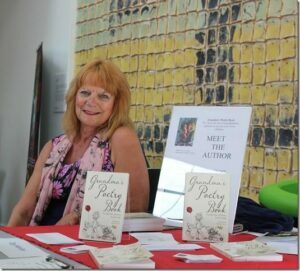 If you’re more used to selling online, connecting in person with those who buy your book makes a welcome change. “I love meeting new readers, especially when they come back for more,” says Di Castle, who is currently trading at up to five fairs a week! 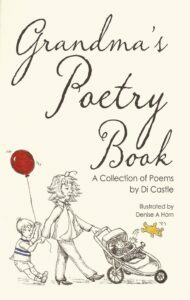 Whatever genre you write in, it will obviously favor your sales if you have either an obviously Christmas-themed book, or if your books are especially suitable as gifts, such as Di Castle’s Grandma’s Poetry Book, pictured above. While it’s almost certainly too late to book for this year, get ahead for 2018 by visiting any events like this near you to suss them out for next year – and apply to go on their mailing lists as soon as they start getting ready in subsequent years. This may happen sooner than you expect – almost as soon as this year’s event is over! Book early to be sure of a slot, and be prepared to go on a waiting list if need be. “There is an art to this, and becoming part of diverse groups is the way forward,” says Di Castle. So think of it as a long-term project, not just a one-off activity for November and December. Then enjoy – and have a Merry Christmas! PS If the thought of taking a stall at Christmas fairs leaves you cold, there’s another, more esoteric way that we can all help each other sell more print books at this time of year: buy paperbacks from other indie authors to give as gifts to your friends and family. Between us, we’ve got plenty for all tastes and ages! You raise quite a few valid points…thanks for the holiday marketing advice!